A premium Aluminium Paint with premium resin based aluminium protective that exhibits a brilliant silver colour for superior reflectivity. 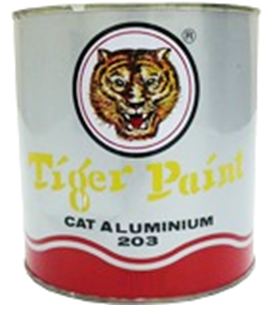 •Protects varieties of metal surfaces including grain bins, silos, roofs, chain link fences and more. •Can also be applied to wood, concrete and other building substrates where enhanced reflectivity is desired.